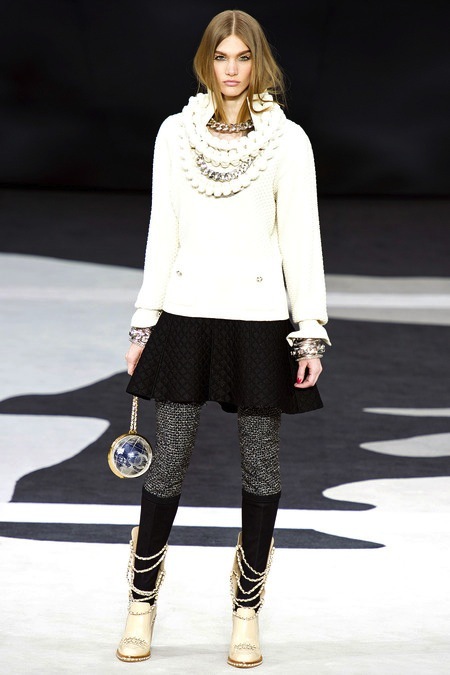 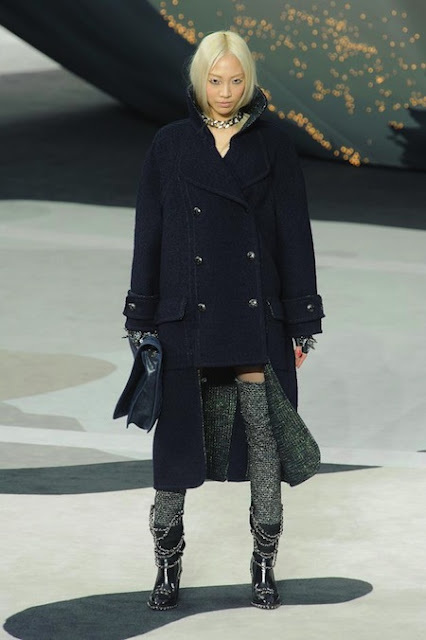 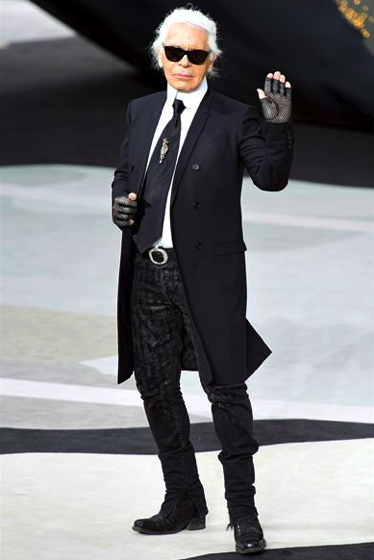 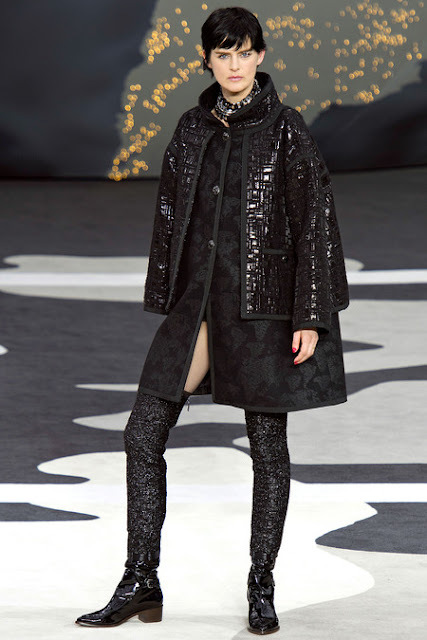 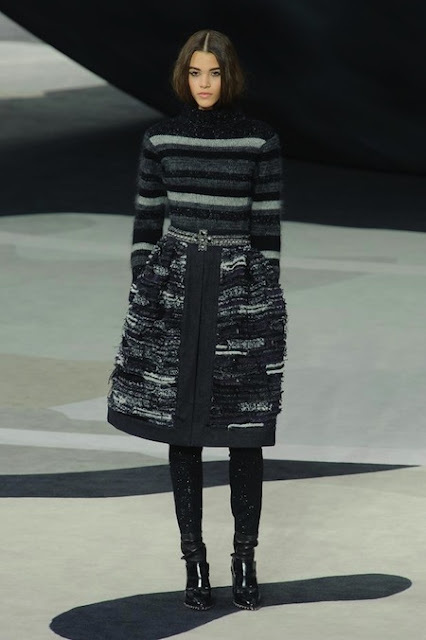 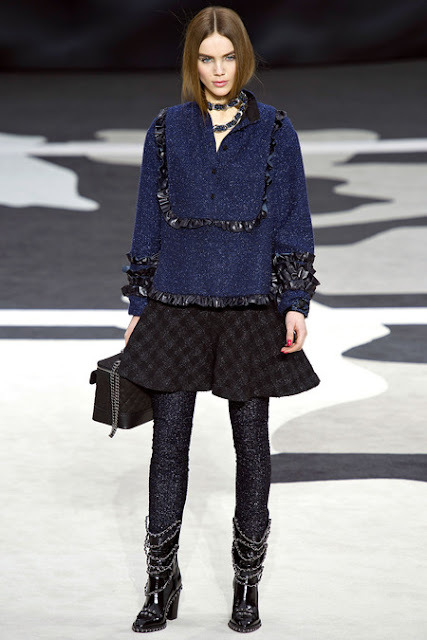 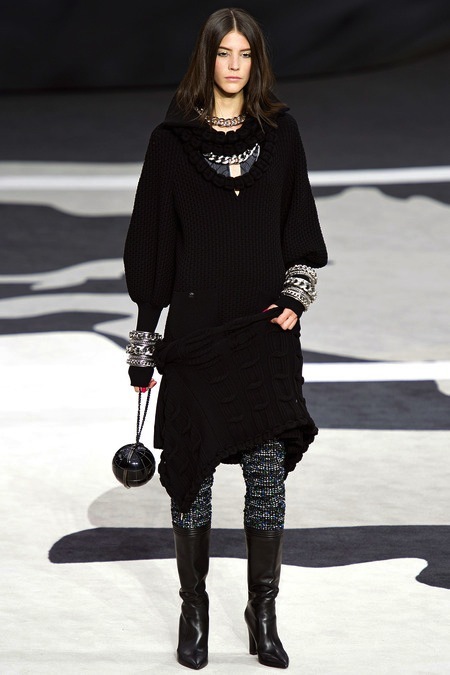 Karl Lagerfeld creates a structured yet feminine FALL/WINTER 2013 Collection for CHANEL. Military jackets, tweed jackets, pleated wool skirts and thigh high boots were showcased around a huge globe with white CHANEL flags. 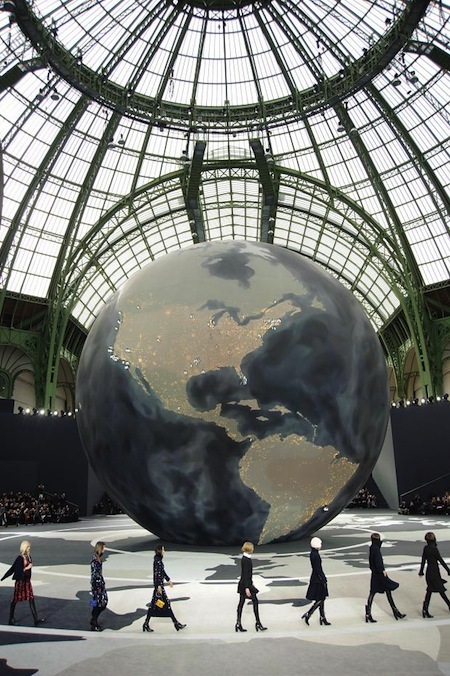 The flags represent where the fashion house operates around the world.